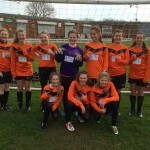 Wetherby Athletics u13 girls football have worked hard over the last couple of seasons to build and encourage girls football in the local community. This hard work has been aided by the positive effect the Olympics has had on the profile of women’s football. RPL are pleased to be able to sponsor the provision of the new team shirts. 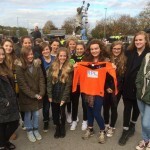 Hopefully this will send out a positive message to all that girls football is a serious but fun game to play!